My love of architecture and plan drawings began at an early age, I would draft out a concept and envision it coming to life. Today, as Principal Interior Designer of Sarah Bernardy Design, LLC, I am honored to skillfully guide my clients through their design project by embracing their vision and creating a space that is a unique expression of their lifestyle. I believe that design is in everything we do and plays a very important role in how we feel and interact within a space. As a wife and mother of two growing girls, I understand the importance of having a comfortable home that welcomes you after a long day. Our home is not only our sanctuary, but a personal reflection of who we are. As your Interior Designer, I will personally guide you in creating the best version of home for you. When I am not designing, bumping volleyballs with my girls, or out for a run, you can find me getting my hands dirty in the back yard. 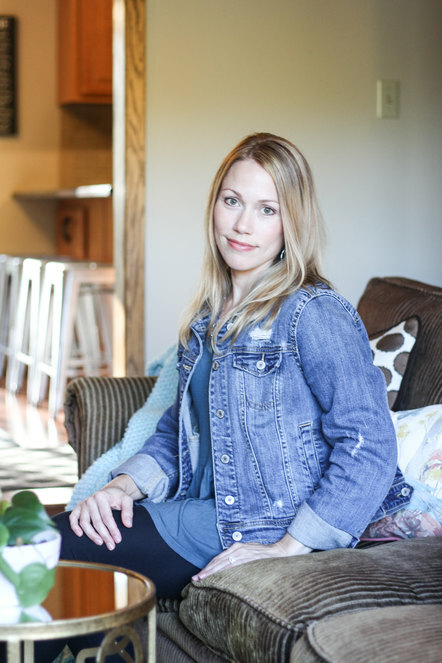 I grew up on a farm in Southwest Minnesota and attended Design school at Alexandria Technical College where I received an Associate of Applied Science in Interior Design. As some may say, “you can take the girl from the farm, but you can’t take the farm out of the girl.” I am not afraid of hard work, you will see that not only in my designs and creative energy, but also in staying actively healthy in my everyday life. It’s all about finding balance, and as your Interior Designer that’s exactly what I will help you achieve within the design of your home.